NASA themselves officially recognized the possibility of Planet X, with an announce-ment that 'some kind of mystery object is really there - far beyond the outermost planets'. In 1841, John Couch Adams began investigating the by then quite large residuals in the motion of Uranus. In 1845, Urbain Le Verrier started to investigate them, too. Adams presented two different solutions to the problem, assuming that the deviations were caused by the gravitation from an unknown planet. Sept 30, 1846 --- one week after the discovery of Neptune, Le Verrier declared that there may be still another unknown planet out there. On October 10, Neptune's large moon Triton was discovered, which yielded an easy way to accurately determine the mass of Neptune, which turned out to be 2% larger than expected from the perturbations upon Uranus. Another attempt to find a trans-Neptunian planet was done in 1877 by David Todd. He used a "graphical method", from the residuals of Uranus, he derived elements for a trans-Neptunian planet: mean distance 52 a.u., period 375 years, magnitude fainter than 13. 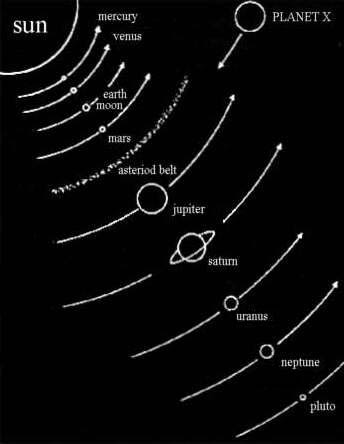 In 1879, Camille Flammarion added another hint as to the existence of a planet beyond Neptune: the aphelia of periodic comets tend to cluster around the orbits of major planets. Jupiter has the greatest share of such comets, and Saturn, Uranus and Neptune also have a few each. Percival Lowell, most well known as a proponent for canals on Mars, built a private observatory in Flagstaff, Arizona. Lowell called his hypothetical planet Planet X, and performed several searches for it, without success. Lowell's first search for Planet X came to an end in 1909, but in 1913 he started a second search, with a new prediction of Planet X: epoch 1850-01-01, mean long 11.67 deg, perih. long 186, eccentricity 0.228, mean dist 47.5 a.u. long arc node 110.99 deg, inclination 7.30 deg, mass 1/21000 solar masses. Lowell and others searched in vain for this Planet X in 1913-1915. In 1915, Lowell published his theoretical results of Planet X. It is ironic that this very same year, 1915, two faint images of Pluto was recorded at Lowell observatory, although they were never recognized as such until after the discovery of Pluto (1930). Something out there beyond the farthest reaches of the known solar system seems to be tugging at Uranus and Neptune. Some gravitational force keeps perturbing the two giant planets, causing irregularities in their orbits. The force suggests a presence far away and unseen, a large object that may be the long- sought Planet X. The last time a serious search of the skies was made it led to the discovery in 1930 of Pluto, the ninth planet. But the story begins more than a century before that, after the discovery of Uranus in 1781 by the English astronomer and musician William Herschel. Until then, the planetary system seemed to end with Saturn.Today, scientists accept theories concerning plate tectonics. 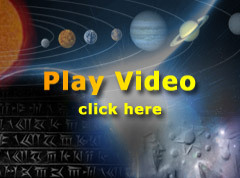 There are articles and studies showing that, at one time, all of Earth continents were on one side of the planet. What the stories don't explore is the question, if all the continents were on one side, what was on the other? 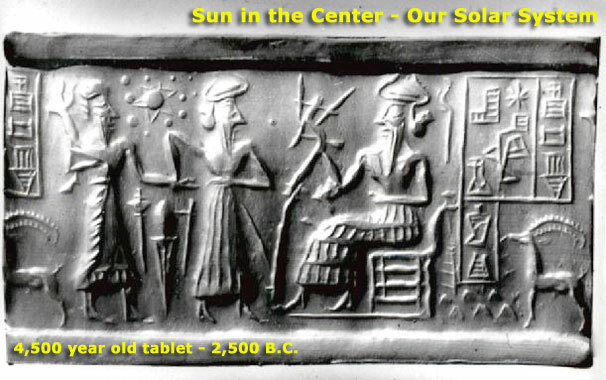 The other side has been described as a tremendous gap, matching the Sumerian story of how the Earth came about. The Sumerians said Earth was really half a planet called Tiamat, which broke up in a collision with Nibiru, [or Planet X]. The discovery of new planets has, in the last two hundred years, owed more to the science of mathematics than it has to the design of bigger and better telescopes. 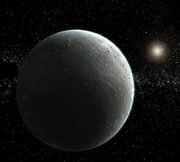 The unaccounted-for mathematical irregularities in the orbits of the outer planets have prompted astronomers to speculate upon the existence of a further, undiscovered planet. Astronomers are so certain of this planet's existence that they have already named it 'Planet X' - the Tenth Planet.